A religious clash was averted last week, following an order by Borno State Deputy Governor, Alhaji Usman Mamman Durkwa, for the arrest of EYN Church Secretary, Marama, in Hawul Local Government Area of Borno State, John Anjili Mbaya, ostensibly for Political vendetta. The Church leader was arrested by the Police, who made several attempts to arrest other youth from Marama town, with a view to framing them up for alleged political violence on the eve of the last general elections, in which Durkwa, then, a commissioner for poverty alleviation was beaten up for provoking some religious thugs to attack youth from the town. 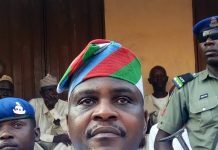 The Police who came all the way from Maiduguri, apparently acting on the Deputy Governor’s orders stormed the town at dawn and arrested the Secretary of the local church branch, and took him to Maiduguri where he was detained, later released, but ordered to report to the Police Headquarters on Tuesday for continuation of his interrogation. nationalTRAIL gathered that, the Church leader was told by his interrogators to admit being part of the mob that clashed with the Deputy Governor, or name anybody they can pick who may have given orders for the youths to beat Durkwa up. According to him, the Police told him that he will be charged for attempted murder, theft and arson, unless he names people behind the clash. This is even as the Police vehemently denied being used to haunt the church secretary. 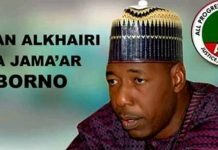 Police Public Relations Officer, PPRO, for the Borno State Command, Emmanuel Isuku, ASP, however told our correspondent that the arrest of the leader was not official; as such, no such incident has been officially brought to his attention. He told our correspondent via telephone that, he was neither aware of such order, and was not in a position to clarify why the Church leader was arrested by Police from Maiduguri, without recourse to either the Area Commander, nor the DPO in Hawul, both of who had visited Marama to empathize with the Church and community leaders. 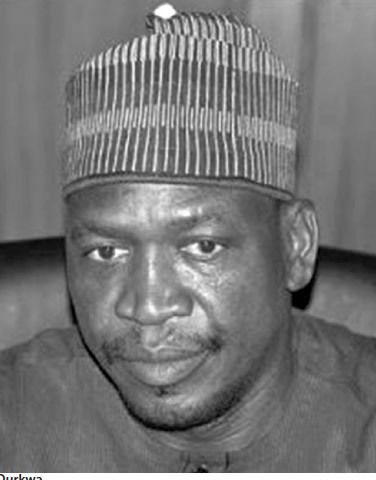 nationalTRAIL gathered that, since John’s arrest, there has been palpable religious tension in the town, prompting the District Head, Mai Usman Mustapha Aliyu and some church leaders from the area to visit the Deputy Governor in Maiduguri with a view to putting a stop to any further breach of the peace, owing to the arbitrary arrests being masterminded by the Deputy Governor. It may be recalled that, two youths from the area had been arrested earlier and are being tried in the state High Court for alleged armed robbery. They were alleged to be part of a mob that beat up the deputy governor before his appointment into the position in March, following a clash with the deputy governor’s own thugs. John told our correspondent that, he was woken up from sleep on the fateful day by shouts from his family members, who suspected an arm robbery attack, only to be bundled into a waiting Police Toyota Hilux vehicle, and driven straight to Maiduguri, without recourse to either the DPO in Hawul or the Police Area Commander in Biu, both of who denied knowledge of the arrest.